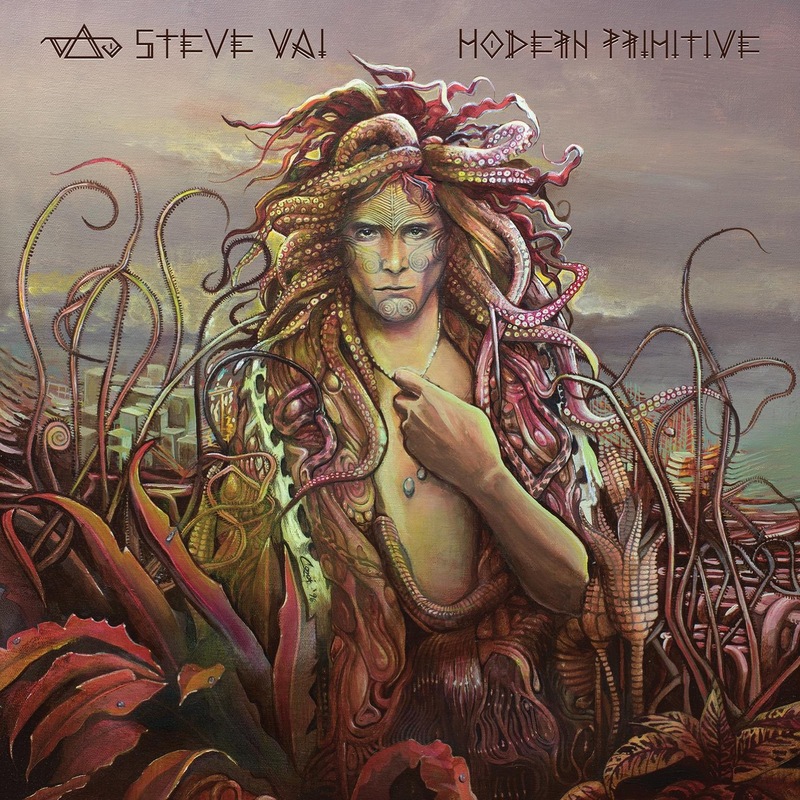 „Modern Primitive“ features new recordings based on early, unfinished song sketches written after Vai's first solo release, 'Flex-able,' and during the time Vai worked with David Lee Roth, Public Image Ltd. and Whitesnake. The bulk of the music on Modern Primitive was either written or recorded in between my first solo record Flex-Able (1984) and my second solo record, Passion and Warfare (1990). Modern Primitive can be thought of as a companion album for the 25th Anniversary release of Passion & Warfare. born Steven Siro Vai, is an American guitarist and composer, born June 6th, 1960 in Long Island, New York (making him six years old on the sixth day of the sixth month in 1966, as he noted in the introduction to his guitar transcription book of Frank Zappa). Vai is best known for his self-composed, performed and produced guitar instrumental music, but he has also played on the recordings of several other rock acts. Steve Vai made his name playing 'stunt guitar' with the legendary rock performer, composer, music producer, and publishing mogul Frank Zappa. In the early 80's he replaced Yngwie Malmsteen (a good friend) as lead guitarist in Graham Bonnett's Alcatrazz. Then he joined former Van Halen front man David Lee Roth's group to record the albums Eat 'em and Smile and Skyscraper. Vai also stepped into guitarist Adrian Vandenberg's shoes to record with British rock legends Whitesnake (after Adrian Vandenberg injured his wrist due to some exercises he found in a book and tried out) shortly before recording was due to begin for the album Slip of the Tongue. 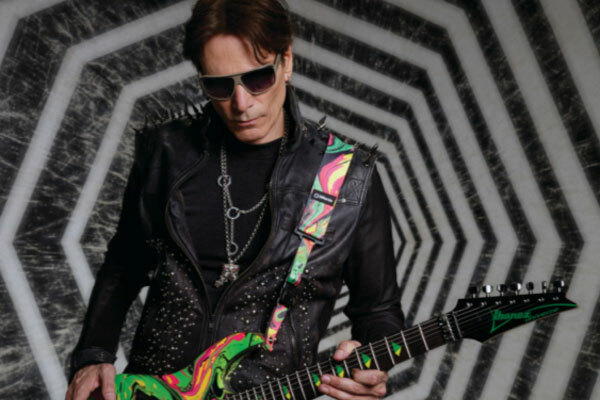 Steve Vai continues to tour regularly, both with his own group and with his one time teacher and fellow Grammy award winning guitar instrumentalist friend Joe Satriani (on the G3 series of tours). Steve recently teamed up with former David Lee Roth band member Bassist Billy Sheehan for a world tour. G3 2003 features Steve, Joe Satriani and Yngwie Malmsteen. 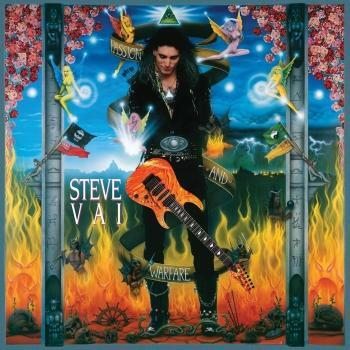 Steve Vai's music has featured in a number of feature films, including Dudes, Bill & Ted's Bogus Journey and Ghosts of Mars. He appeared onscreen in the 1986 Ralph Macchio vehicle Crossroads, playing the demonically-inspired Jack Butler. At the film's climax, Vai engages in a guitar duel with Macchio (with Ry Cooder dubbing Macchio's part). The 32nd note quick tempo pseudo-classical-baroque track (entitled Eugene's Trick Bag) with which Macchio wins the competition was composed by Vai, heavily based on Paganini's Caprice Op. 1 # 5, and has become a favorite apprentice-piece among many guitar students. Vai received a Grammy Award in 1991. Where Vai's contributions to others' material has been constrained by the largely rock or heavy-rock style of those bands, his own material is considerably more esoteric. 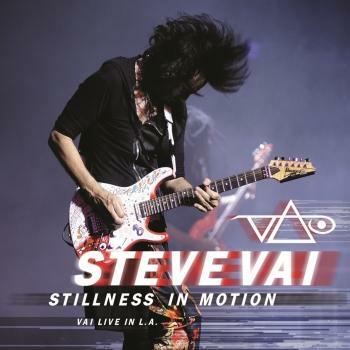 Vai is an accomplished studio producer (he owns two: 'The mother ship' and 'The harmony hut') and his own recordings combine his signature guitar prowess with novel compositions and considerable use of studio and recording effects.